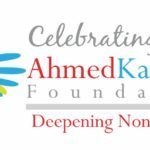 The Ahmed Kathrada Foundation is deeply concerned by a video made by Kessie Nair which went viral yesterday. In the video, Nair unashamedly and repeatedly refers to President Cyril Ramaphosa as a “kaffir President”. The Foundation’s Executive Director, Neeshan Balton, said, “We condemn this despicable utterance, which is an attack on the dignity of all South Africans, who are represented by the President of the Republic. Furthermore, this case is of particular offence to the Foundation. President Ramaphosa served as the first chairperson of the Ahmed Kathrada Foundation Board for his commitment to non-racialism. He served at the specific request of Ahmed Kathrada. “Irrespective of the grievances that people may have about the country, or any other situation, using racist vitriol, hate speech, or dehumanising any person irrespective of his or her position, is unacceptable and cannot be allowed as a method to draw attention to issues,” Balton said. 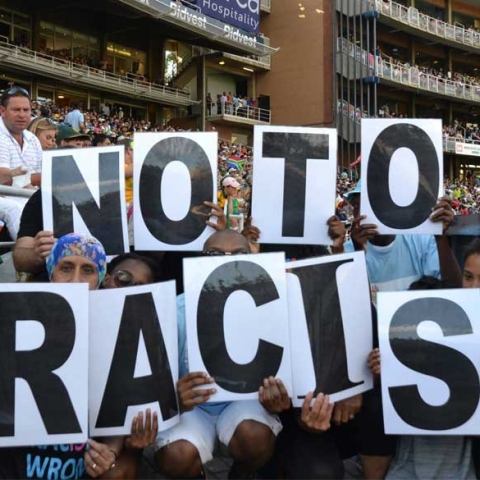 “More disturbing, is that Nair’s rant is just one among many recent racist incidents that have taken place in South Africa. It is deeply concerning that racists still feel comfortable demeaning others with hate speech publicly and blatantly without any fear of reprisal. We reiterate that racism is not only unacceptable, it is illegal,” he said. “I don’t think that racists understand the type of social instability and tension that their racist views have the potential to unleash. It takes one racist incident to spark a situation that can become uncontainable and can wreak havoc on a society that is still deeply scarred by apartheid. Balton added, “On that note, the Nair family should be commended for their rapid condemnation of their relative’s racist rant. Ordinary people should be applauded for calling out the racism on social media. We also commend the South African Human Rights Commission for their swift response to the issue and for indicating that they will be investigating the case. Furthermore, we welcome the quick action by Councillor Brandon Pillay in opening of a case of crimen injuria against Nair, so that the relevant prosecuting authorities can act on this racist action. Balton however indicated that all of the recent cases of racism should “prompt us to question what does society expect of racists after an incident like this has occurred”. “The judiciary certainly has an important role to ensure that racists are penalised or jailed, and that racism is made ‘expensive for racists’. However, society needs to deliberate about what they would like to be seeing racists do as part of the rehabilitative process as well. Should racists simply issue an apology, or should they undergo anti-racism training as well? Should they be made to do community service as part of their sentence, or should they be made social pariahs for a long period of time? These are issues that we should be discussing. We also need to be addressing what proactive work needs to be done on a day to day basis to shift mindsets and change deeply entrenched racial views, as well as systemic racism.